This was an image on Facebook. It portrays a popular understanding of faith. It describes what we might call blind faith. The adjective blind distinguishes this faith from reasonable faith–or simply, faith. There is a popular, but mistaken, notion that religious people base their conviction of the existence of God on a faith that is opposed to reason. I am mildly frustrated when I read this error in an online rant from some guy trying to prove religious people are idiots because they are so irrational. But what really drives me nuts is when Christians to it. 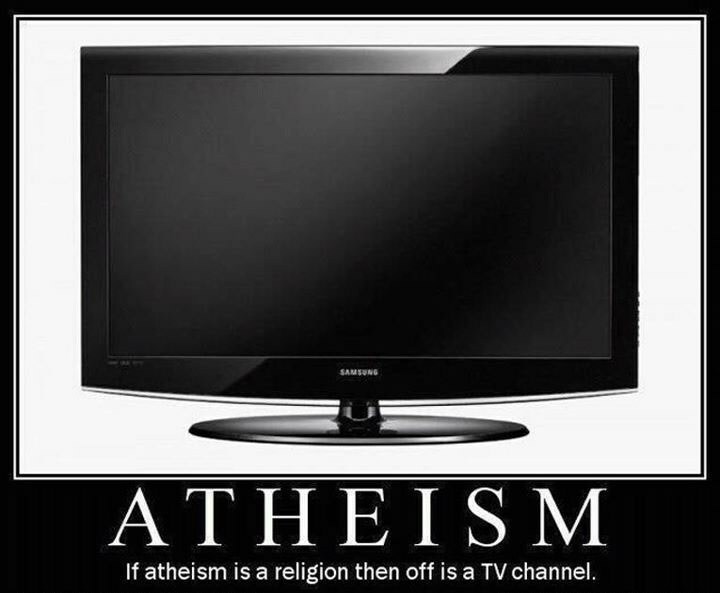 Both the atheist and the theist are mistaken when they think faith is the opposite of reason. Reason is really important. It is important that Christians are reasonable. Without reason, faith will become nothing more than sentiment. The more sentimental faith becomes, the more it will be pushed around by the values of the dominant culture, or some mutant form of Christianity. Christians need to understand that reason is not a bad thing–God made it. It is important that we clarify terms. Luigi Giussani’s in the second chapter The Religious Sense discusses what reason is not. First, rational is not the same as demonstrable. This is the empirical approach which says that a thing is true, only if we have evidence. (I will point out that this principle itself is not empirically verifiable, so empiricism is self-refuting as a complete theory of knowledge.) There are many things that are rational, that are not demonstrable. Second, rational is not the same as logical. Logic is all about coherence. It is logical to say, as my son once did, that creatures eat what they like; beavers eat trees; trees taste good. It’s logical but based on a false premise–not rational. Logic and demonstration are two of the tools in the hands of reason. Reason, as it has been understood for millennia, and as it is lived by every human being who has ever lived, is much bigger than the merely demonstrable or logical. Giussanii says that rationality is adherence to reality, and because reality is so very big and deep and wide, rationality is a lot bigger than we often think. There are different procedures for using reason–all depend on the object. It is rational to say that water is H20. My certainty comes from a scientific or analytic procedure. It is rational to say that (a+b)(a-b)=(a² -b²) The procedure here is mathematical. It is rational to say that a woman has the same rights as a man. This claim is based on a philosophical approach: all humans are equal; women are human; women are equal to men. It is rational to say that my mother loves me. This moral or existential certainty is derived from many thousands of encounters with my mother. Importantly, we can be in error when using any of these methods. But we will always be in error–we will be irrational–if we use the wrong procedure. The method one uses is dictated by the object. It would be irrational of me to attempt to use the philosophical procedure to attempt to understand the chemical composition water. It would be equally irrational to use the scientific procedure to determine a mother’s love for her child. When I sit down to dinner at my mother’s house, I do not need to test the food to know that the food isn’t poisoned. It’s irrational for me to think it is. It would be irrational to have to test each component of the meal in order to ascertain that it was safe for consumption. We aren’t being rational if we are limiting reason to only two or three categories. 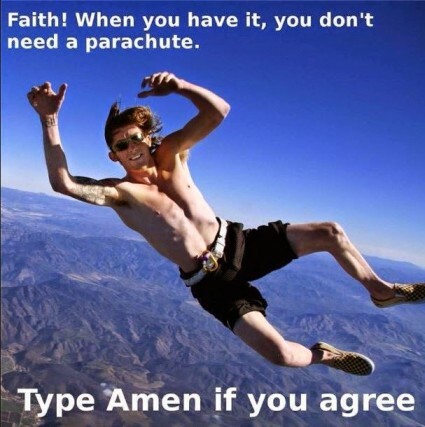 Now for a definition of faith. When we are not talking about blind faith, we are talking about faith in relation to reason. Giussani’s definition of faith is “adhesion to what another affirms.” Faith is unreasonable if there are no adequate reasons for the faith. I have reasons to adhere to what my doctor tells me about exercise. I have reasons to believe what others tell me about the molecular composition of water. I have reasons to believe in the eyewitness accounts of Christ’s resurrection. Faith is reasonable if there are reasons to adhere to what another affirms. Imagine if humanity never practiced this type of reasonable faith. We’d never move forward because each individual would need to start at square one. I’d have to study the effects of exercise on the cholesterol levels myself. We’d never get anywhere as a civilization. So, I accept it as true and act accordingly. It’s rational to do so, because I have good reason to believe it to be true. So even the knowledge made certain by the first three methods require faith. Perhaps these definitions of faith and reason are still unacceptable to some, but these are the definitions that human beings live by–they are the definitions most attuned to the reality of lived experience. If one lives by them, one can be said to have a personal relationship with reality. In the seventh chapter of A Prayer for Owen Meany, Owen’s life continues to parallel that of Jesus: Because of Owen’s attacks on the establishment, especially the hypocrisy of the new headmaster. Owen is brought before the Sanhedrin –he is called irreverent (289) and anti-religious (409, 413). Eventually Owen’s enemies “crucified him” (398-99) after being passed between the Academy’s chaplain and psychologist—Herod and Pilot, if you will. Owen has a recurring dream. We don’t know the specifics, but Owen understands it as a divinely inspired “vision.” Predictably, to the more secular Johnny, it’s “just a dream.” Typical of the Modern secular mind, Wheelwright sees faith in opposition to reason. Because of this, it is not possible for him to have faith, or understand that of Owen. All the other characters of the novel share Johnny’s opinion (Dan Needham, Harriet Wheelwright, Hester, Pastor Merrill, and Father Findley), and for the same reason. The dispute between Owen and Johnny on the issue of belief is the same in our culture at large. According to Charles Taylor, there is little argument as to whether there is an immanent reality or not. What is disputable is whether it lies within a transcendent one. According to Taylor, the material world “allows of both readings, without compelling us to either” (Taylor 550). Because the material reality allows for both, taking a position on whether or not there is also a supernatural realm requires a ‘leap of faith.’ The particular direction we chose to leap is dictated by “our over-all personal take on . . . life” (Taylor 550). However, our “take” can change through experience. This is conversion. Taylor describes two types of conversions. The first type is a “seemingly self-authenticating experience” and the second comes about more indirectly through those whose experience is more direct. Owen’s conversion is of the first order and Johnny’s is of the second. It becomes more and more clear that Owen, like most theists to one degree or another, believes the events of his life a following a divine plan. Like a good secular modernist, John Wheelwright believes in free will; he believes that ones choices or chance govern the universe. “Disbelief is hard in the enchanted world” (Taylor 41); because Owen lives in such a world, it is far easier to be a believer, but Johnny, who experiences the world as disenchanted, was continuously puzzled by Owen’s faith. Irving makes it clear that choosing between these two is extremely difficult; he consistently problematizes both views. Irving insures an ambiguity between faith and doubt by “giving us access to Owen only through Johnny’s second hand narration, rather than the direct evidence on which Owen’s own faith is based” (Haynes 78). With this narrative device, Irving undercuts both belief and unbelief and maintains a non-didactic stance. This is seen in one of the novel’s major story lines—the search for the identity of Johnny Wheelwright’s biological father. Unbelief, or faith in rationalistic explanation, is undercut in the elaborate investigation of this paternal mystery. Pursuit of the facts takes the boys down various avenues all of which turn out to be far from the truth. By keeping both paths ambiguous, Irving is consistent with Taylor’s assertion that we have no compulsion to choose one over the other. Owen’s faith arises from a combination of that which underlies the “UNSPEAKABLE OUTRAGE” and the hitting the foul ball which kills Tabitha Wheelwright. “The first of these events determines Owen’s religious interpretation of the second” (Eisenstien 7). This fusion is not “rational”; it is believed as a leap of faith. The fusion amounts to a direct encounter with God and once it is believed, other things follow which are equally irrational but do not require another leap of faith. Owen sees the inseparability of material and transcendent realities as having a real bearing on his life. His voice and diminutive size, his obsession with “the shot,” the regular return to the image of armlessness, his vision of the date on the tombstone in the play, and his recurring dream are all informed by his belief in the fusion of the transcendent and the immanent—he has an integrative and incarnational view of reality. Importantly, the leap of faith toward unbelief follows the same path. Unbelief in the transcendent is also non-rational. Once it is believed that no god exists, other things follow which are equally irrational but do not require another leap of faith. Recognizing that faith need not always align with reason, Owen asserts “YOU CAN’T PROVE A MIRACLE” (272). “REAL MIRACLES AREN’T ANYTHING YOU CAN SEE—THEY’RE THINGS YOU HAVE TO BELIEVE WITHOUT SEEING (309). On the other hand, he doesn’t believe everything that pops into his head; “FAITH IS A LITTLE MORE SELECTIVE THAN THAT” (472). Because Owen’s faith is incarnational, he is not so focused on either faith or reason, but on the purpose of his life in which each event or action has meaning. 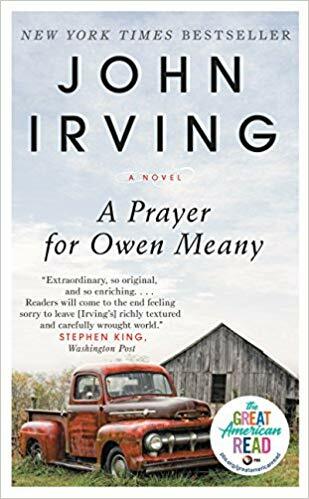 In A Prayer for Owen Meany, the battle is not between faith and reason; it’s between meaning and meaninglessness, purpose and purposelessness. Sykes, John. “Christian Apologetic Uses of the Grotesque in John Irving and Flannery O. Connor.” Literature and Theology 10.1 (1996) : 58-67.